Sanjana, is an Model and winner of Miss Hyderabad 2016. She is one among the commoner contestant of Bigg Boss season 2 (2018) which is host by Nani. She is also prominently know as finalist of Miss Indian in 2018. 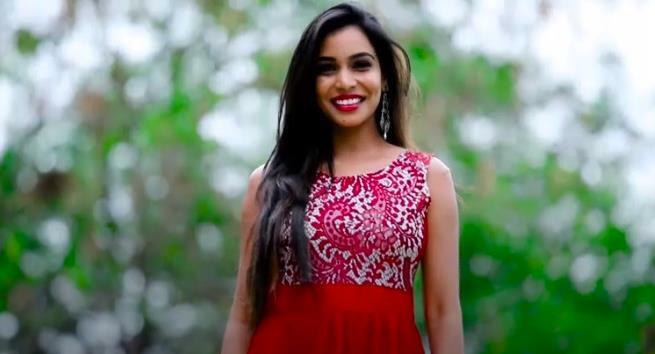 Check out below for Bigg Boss Sanjana Biography, Wiki, Age, Caste, Family, Height and more. Sanjana is a Indian Model and participant of bigg boss Telugu season 2. She was born to an telugu based family in Hyderabad. She completed her schooling and college in the same city and decided to choose her career in modeling. She crowned as Miss Hyderabad 2016 and also notably show as finalist of Miss India competition. She also participated in many modelling competition and won several titles. She is biggest fan on Aishwarya Rai and because of her she started her career in modeling. The other personal details about her is not known, Stay tune here to get more updates. Sanjana Anne is one among the commoner contestant of the season. Bigg Boss Telugu Season 2 begin with 16 contestants from various field, the show which host by Nani and telecast in Star Maa Television. After qualified as finalist of Miss India, She looking to get some popularity from Bigg boss show will help her to gain opportunity to feature in Telugu movies. If She handles the situation better inside the house, then her dream to feature in movies will happen show with the support of audience. How to Vote for Sanjana in Bigg Boss Telugu? – Give missed call to < Number to be updated > for cast your vote for Sanjana. – For online voting, Go to Google.co.in and enter ‘bigg boss telugu vote’ and select Sanjana when he nominated for elimination. Login to your gmail account and complete submission. Here completing updates about Sanjana Wiki, Biography, Age, Bigg Boss, Caste Details. Check out below for more celebrity biography details and latest news update in scooptimes.com.